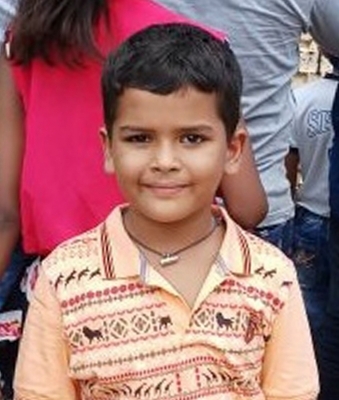 New Delhi, Oct 5 (IANS) In mid-September, a team of Haryana Police investigating the sensation murder of a minor boy studying in Ryan International School in Gurugram, had rushed to Mumbai as part of the larger probe into the case. Despite all their efforts, the team failed to meet any of the known trustees — Augustine Pinto, his wife Grace Pinto and their son Ryan — at either the headquarters of the St. Xaviers Eduational Trust in Kandivali East or the residential address provided by the family. Since then, the trustees have been moving one court after another — the Bombay High Court, the Punjab and Haryana High Court, sthe Supreme Court, and now the CBI Special Court in Gurugram – seeking anticipatory bail against possible arrest. While the Haryana Police camped in Mumbai for nearly a week, unknown to them, or the Mumbai police and even the school administration, the family remained cosy and beyond the reach of the law at their home in a posh Bandra West locality. “All attempts by us to contact and question them at their given residential address in the affidavit submitted to the courts — Ashok Tower, Kulupwadi, Borivali East — proved futile. The trust and school administrative staff claimed they had no knowledge where their trustees, the Pinto family, could be traced,” confided an officer familiar with the investigations, preferring not to be identified. Official sources and independent IANS investigations reveal that the Pintos are residing in a posh duplex apartment of a prominent residential tower in near Ambedkar Road in Bandra West, adjacent to the home of Bollywood actor Sanjay Dutt. 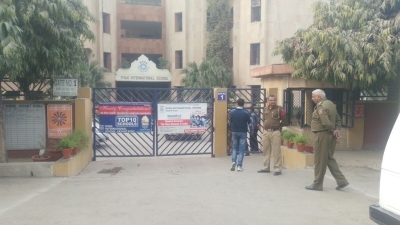 The building also houses several other Bollywood personalities and any visitor seeking to meet the Ryan International School trustees is stonewalled by the security. Prominent advocate of the Law Chartered firm Vinod Tiwari said that as per the law, anybody providing a wrong address in an affidavit attracts severe action, including perjury, as it hampers the course of justice. “This is sheer mockery of the law by such powerful persons and the lawyer, as an officer of the court, who has identified and confirmed that the concerned person/s (Pintos) are residing at the given address, can also be held liable,” Tiwari told IANS. Interestingly, Tiwari is the National Co-Convenor and Vice-President of the Bharatiya Janata Party’s powerful Legal & Legislative Cell and practices in Maharashtra and New Delhi. Birbal Jha, head of the New Delhi-based Mithilalok Foundation, social service organisation, termed the revelations as “shocking and clearly intended to misguide the police and the courts” and demanded immediate action in the matter. The NGO is providing legal assistance to the victim’s family in the case. Incidentally, the Pintos have given the same Borivali East address — where nobody resides since nearly two decades — in their affidavits filed in different courts where their transit anticipatory bail and later anticipatory bail applications came up for hearing before several judges in the past nearly one month. Following a nationwide furore, the Haryana government transferred the case to the Central Bureau of Investigation (CBI), which is now handling the matter, while the Bhondsi school management has been taken over by the local government.